This paper tackles two related issues in dealing with so-called “wicked” problems: the challenge for scientists wishing to provide useful policy advice whilst maintaining scientific integrity and the challenge of integrating multiple disciplines across the social and physical sciences. It focusses particularly on the problems associated with volcanic risks—specifically those problems that threaten to “politicise” volcanology via the role of scientists in advising authorities. The Sendai Framework for Disaster Risk Reduction 2015–2030 calls for a greater role for science in reducing risk. It conceives of science very broadly—incorporating social, physical, medical, economic, agricultural and behavioural sciences into the policy process. This presents an exciting opportunity; yet, there are difficulties in approaching the science-policy encounter in the context of risk, especially under high uncertainty and involving multiple disciplines. 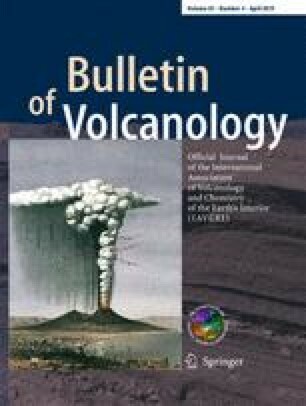 The paper reviews literature in volcanic risk assessment, science studies, and policy studies to suggest that risk requires critical, reflexive, transparent, and discursive management through the availability of spaces in which academics of all disciplines, policymakers, and stakeholders can openly discuss method, meaning, and interpretation of evidence. The author would like to thank Jenni Barclay and an anonymous reviewer for helpful comments that enhanced the manuscript, and Raffaello Cioni and Andy Harris for their careful editorial handling of this manuscript. “Risk”, “vulnerability”, “hazard” and many of the other terms that are widely used in volcanology and other fields are contested. This paper adopts the definitions of the UNISDR. In particular, it views both hazard and risk as not merely reducible to a probability in practice: a risk assessment requires quantification of social and physical vulnerability and of capacity, and even a hazard assessment must take into account the nature of the hazard and its impact and severity. There are methods to quantify social vulnerability (Cutter et al. 2003), but these require too many variables to be applicable in many locations and also ignore key indicators that are not measureable (e.g. values and beliefs) but that affect vulnerability significantly. At best, indices may be used for social vulnerability and adaptive capacity, but this paper suggests that quantification should not be the primary goal; concise summation that can incorporate the qualitative complexities is equally useful (and often more explicable to non-experts). In volcanology, typical approaches have quantified hazard rather than risk. Hazard is a process with the potential to affect life or property. Risk may be quantified in more reductive ways, such as individualised risk per annum (annual risk of death), but this cannot take into account factors that may make particular individuals or groups more vulnerable. Risk, incorporating vulnerability, is ultimately assembled out of material processes (hazard), value systems and beliefs, governance systems and decisions, political economies and other societal and economic factors. It is a highly complex concept. Hazard is a simpler idea, because it refers to the physical phenomenon. Probabilistic assessment of hazards is commonly carried out in volcanology, and hazard maps are increasingly probabilistic. This paper also refers to several philosophical approaches to knowledge. Positivism is an approach that suggests that knowledge about reality must be proven by verification in order to be accepted as fact. It emphasises that reality can be known through empirical reasoning and logic. Positivism was developed in the eighteenth century, when thinkers such as Laplace and Comte argued that the scientific method was the only valid form of knowledge, and developed further in the twentieth century when the logical positivists developed the criterion of verification. Karl Popper often gets referred to as a positivist, because, although he criticised logical positivism, his introduction of falsification rather than verification as a defining characteristic of scientific knowledge did not change the fundamental approach. This paper will refer to Popper’s postpositivist approach as Popperian science. Later philosophers such as Thomas Kuhn have moved thinking further, suggesting that science is characterised by paradigm shifts and that its characteristics should be accuracy, consistency, breadth of scope, simplicity and fruitfulness. There are also ontological issues here. Positivism generally suggested that we can “know” reality objectively (generally known as realism). Other philosophers—notably Kant—have focussed on representing reality, regarding “the thing in itself” as ultimately unknowable. This is an important distinction, because the word “objective” gets used a lot in scientific circles but has multiple meanings. The Kantian object—something that represents reality, is knowable. Popper’s approach is also a realist approach, but shows some awareness of the importance of probability and conjecture in how we can “know” reality (though he is sceptical of belief-based probabilities). While there are positivist and postpositivist approaches to social knowledge, the problem with the social is that it changes: a rock does not change its composition, but people change their minds all the time. Approaches to social knowledge have tended to be rather broader than those of the natural sciences as a result: knowing “the truth” about the social is more challenging. Social science therefore is often interpretative: interpretivism argues that the social is fundamentally different from the natural and requires different techniques in order to understand human behaviour and make sense of it. There are different approaches within this however. Constructivism has tended to suggest that ideas and interpretations are entirely constructed through social interactions: people construct their meanings of the world on the basis of their historical and social perspectives. Constructivism (also called constructionism) has been widely used in the social sciences, often as the ontological basis for interpretivist research. Some sociologists of science have also argued that the physical and life sciences are socially constructed. Feminist social science has taken this further by pointing out the role of positionality: the social is studied by people, who are also social, and so bring their own experiences and assumptions to the study. This is widely accepted in the social sciences: how we interpret other people does depend to some extent on ourselves. Science studies has taken this further and argued that the natural sciences are also affected in this way as scientists make decisions about which models to use and how to interpret their data. Other ontological approaches have surfaced in the social sciences. These include pragmatism—which focuses on the research problem and then uses all available methods to research it—and transformative research, which is focussed on political change and the role of power dynamics. Transformative research is very common in disaster studies, where researchers are often motivated by the search for political change and social justice. Figure 4 sums up the general approach that is taken to research. Note that some of the ontological and epistemological terms can really be used in either of these categories depending on context: this is summarised in Table 2. 2This discussion paper focusses on risk and hazard assessment rather than risk management, but would view volcanic hazard and risk assessment as a key part of volcanic risk management. 3For example, in the kind of statement that “this method provides an objective probabilistic approach to volcanic risk assessment”, where “objective” is not defined philosophically. 4Jasanoff refers to the public testing of knowledge claims as “civic epistemology”. Epistemology is the study of the nature of knowledge. 5Both epistemic values—those associated with the production of knowledge, such as valuing that it is robust and defensible using the scientific method—and non-epistemic values, such as personal beliefs—which might include valuing the lives of local people on the volcano. 6i.e. If I claim that my assessment should be taken seriously as scientific because it is “objective”, and the population then find out that it was done by expert judgement, the authority of the assessment will crumble because it was not actually “objective” as most people would understand the term. If, however, my claim for the distinctiveness of my assessment was that it used established methods for complex uncertain problems, and was observed by independent evaluators, for example, I might be more successful in retaining distinctiveness for the assessment. 7Popper acknowledged the conjectured and contested nature of knowledge. “Neither observation nor reason is an authority. Intellectual intuition and imagination are most important, but they are not reliable: they may show us things very clearly, and yet they may mislead us. They are indispensable as the main sources of our theories; but most of our theories are false anyway. The most important function of observation and reasoning, and even of intuition and imagination, is to help us in the critical examination of those bold conjectures which are the means by which we probe into the unknown … The more we learn about the world, and the deeper our learning, the more conscious, specific, and articulate will be our knowledge of what we do not know, our knowledge of our ignorance. For this, indeed, is the main source of our ignorance - the fact that our knowledge can only be finite, while our ignorance must necessarily be infinite.” Popper, 1963, p.37–8. 8Even where the frequency of eruption at a volcano is very well known and a long-term frequentist probability can be calculated, (i) a probability distribution has to be selected by someone; (ii) the possibility of unprecedented scenarios remains. 9There is extensive debate in philosophy about what constitutes an “object”, and about the nature of “objectivity” and “subjectivity”. An interesting discussion is given in Hermansson (2012) Defending the conception of “objective risk”. Risk Analysis: An International Journal 32(1):16–24—Hermansson argues that we should reconceptualise objectivity to incorporate values, taking all knowledge as situated. The definition I am using here is Kant’s empirical object, which is an “object in time and space”. In Kantian philosophy, risk would be viewed as a “concept” or “proposition”, not an object, because an object has to be completely independent of perception. Risk is a human construct. It cannot be completely independent of perception. This is equally the case with probability. To quote John Stuart Mill, “We must remember that the probability of an event is not a quality of the event itself, but a mere name for the degree of ground which we, or some one else, have for expecting it” John Stuart Mill, A System of Logic, Ratiocinative and Inductive , ed. J. M. Robson, Vols. 7 and 8 of The Collected Works of John Stuart Mill, Toronto/London: University of Toronto Press, 1974. See also De Finetti (1974) Theory of Probability. Wiley, London, Hacking (1975) The emergence of probability. Cambridge University Press, Cambridge, Hacking (1990) The taming of chance. Cambridge University Press, Cambridge. See also Appendix 1.